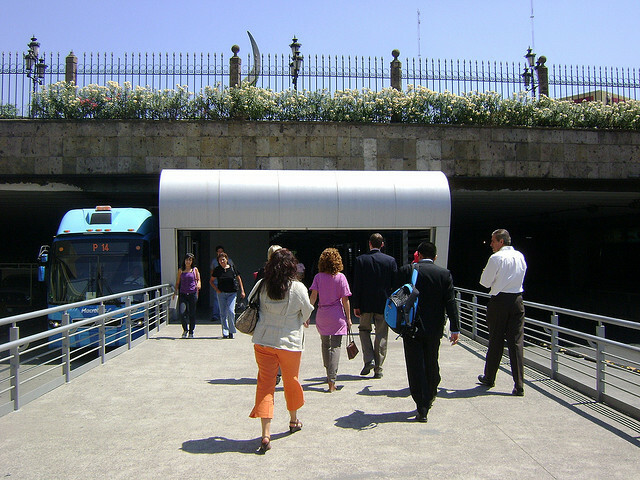 Data has shown that after the implementation of some BRT systems, such as Macrobus in Guadalajara, crashes and fatalities on these corridors dropped by as much as 50 percent. Photo by EMBARQ. Each year, 1.2 million people die in traffic crashes, according to the World Health Organization, and traffic fatalities are projected to become the fifth leading cause of premature death worldwide by 2030, ahead of HIV/AIDS, violence, tuberculosis, or any type of cancer. One way to prevent many of these deaths and injuries is to improve traffic safety, especially on major bus corridors in cities. EMBARQ, the producer of this blog, today released the draft “Traffic Safety on Bus Corridors” guidelines to improve traffic safety on bus corridors worldwide. Based on more than two years of research, the guidelines are part of the Road Safety in 10 Countries (RS10) project, funded by Bloomberg Philanthropies. For more details, read the press release on EMBARQ.org. “This guidebook is part of a broader effort by EMBARQ to illustrate how sustainable transport projects can greatly improve traffic safety, and ultimately, save lives and improve quality of life for people around the world,” said Holger Dalkmann, director of EMBARQ. The most common types of vehicle collisions in BRT systems occur when cars make illegal left turns across bus lanes and collide with oncoming buses. The purpose of the draft planning and design guidelines is to provide bus agencies, local jurisdictions, and regional and international organizations with a set of suggested design, planning, and operational criteria for bus systems, including BRT corridors. The guidelines include recommendations for street design, intersections, stations, and station access, as well as transfers and terminals. During the next six months, experts are invited to provide feedback on the content, methodology, feasibility, and usefulness of the safety recommendations. The feedback will be incorporated into the final version of the guidelines, to be released in 2013. Download the full report in English; Spanish and Portuguese versions are also available. To participate in the “road test,” contact EMBARQ Transportation Research Analyst Nicolae Duduta at nduduta@wri.org.